Malcolm Turnbull has been forced out, ushering in the country’s sixth prime minister in a decade. Political turmoil contrasts with 27 years of unbroken growth. But reforms are hard to implement and voters are disgruntled. The economy’s immunity to upheaval in Canberra is waning. Australia's Treasurer Scott Morrison speaks during an interview with Reuters at the G20 Meeting of Finance Ministers in Buenos Aires, Argentina, July 22, 2018. 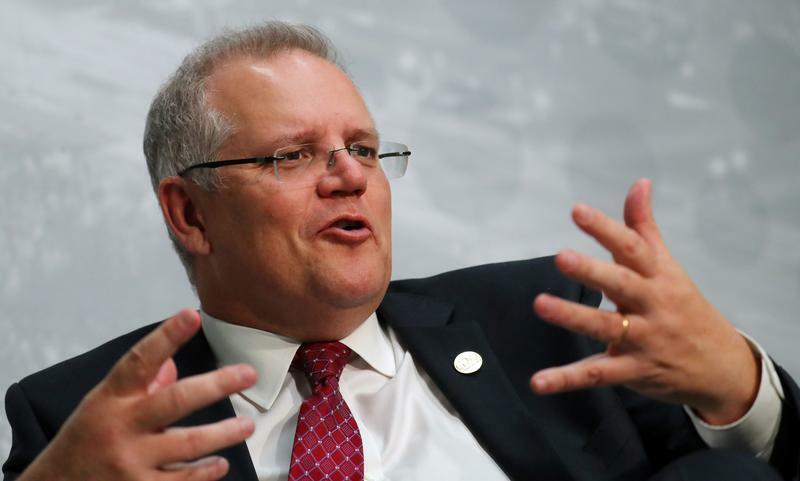 Scott Morrison was sworn in as Australia’s new prime minister on Aug. 24, after winning a Liberal party leadership vote. Morrison was treasurer under outgoing Prime Minister Malcolm Turnbull. Morrison will be Australia’s sixth prime minister in less than 10 years. The Liberal party is the senior partner in the Liberal-National coalition government that has consistently trailed opposition Labor in opinion polls in recent months. An election is due by May 2019. Australian shares rose on the news, rebounding after three days of losses.